Stocks on the Ho Chi Minh Stock Exchange jumped on July 13 as investor uncertainty eased after Dragon Capital decided that it would not dissolve Vietnam Enterprise Investments Limited Fund. VN-Index, which tracks 246 companies and four mutual funds, finished at 509.08 points, gaining 9.15 points, or 1.83 percent. Among the index members, 203 advanced, while only 21 fell and 26 remained unchanged. However, investors were prudent during the trading session, preventing liquidity on the market from improving. Trading volume was just around 47 million shares, approximately VND1.38 trillion. Saigon Thuong Tin Commercial Bank or Sacombank (STB) topped the list of most active shares by volume with 2 million changing hands. Saigon Securities Inc. (SSI) followed with 1.58 million shares. The country’s largest brokerage traded up 4.83 percent. Petrovietnam General Services Js Corporation (PET) came in third with 1.3 million shares. Ho Chi Minh City Securities Corporation (HCM), Thanh Cong Textile Garment Investment Trading Joint Stock Company (TCM), Seafood Joint Stock Company No4 (TS4), and An Phu Irradiation Joint - Stock Company (APC) all sprang the maximum allowed limit of 5 percent to VND48,300, VND18,900, VND39,900, and VND21,000 respectively. Among a few losers, Vien Dong Pharmaceutical Joint Stock Company (DVD) extended its losing streak to the eighth day, losing 4.84 percent to VND118,000. From July 14 to September 14, Nguyen Quang Minh, brother of Nguyen Thi Chinh – head of Board of Supervisors of Vien Dong Pharmaceutical Joint Stock Company (DVD), registered to sell all his holdings of 5,000 shares for personal financial need. Ninh Hoa Sugar Joint Stock Company (NHS) gave up 4.36 percent to trade at VND37,300. Saigon Beverages Joint Stock Company (TRI) dipped 4.3 percent to VND8,900. At the smaller bourse in the north, gainers also outnumbered losers. 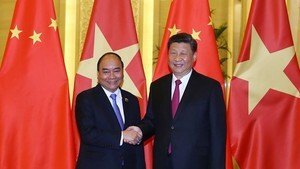 Hanoi’s HNX-Index added 4.33 points, or 2.75 percent, to 161.9. 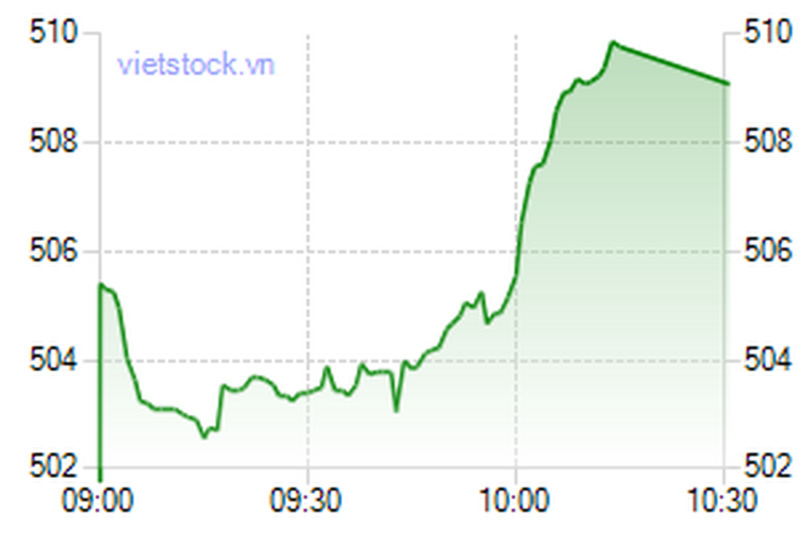 Trading volume almost doubled that of previous trading session to 41.4 million shares, worth VND1.17 trillion. The UPCoM-Index rose 3.03 points, or 5.45 percent, to 58.59 as of 11 am local time. A total of 280,815 shares changed hands at VND5.9 billion.